This exhibition presents approximately 20 works that illustrate the honored place birds hold within numerous African cultures. 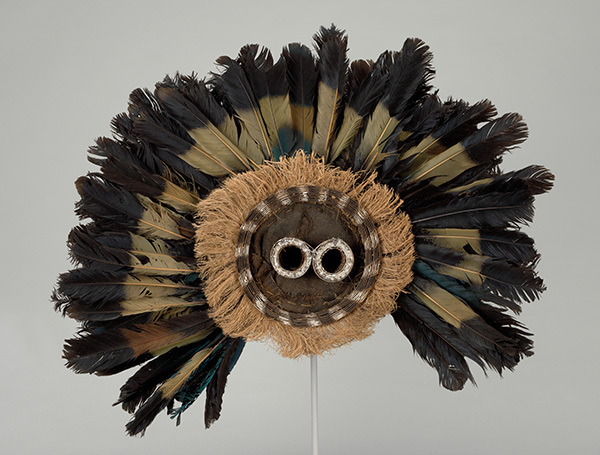 Inspired by our recent acquisition of a rare Pende Gitenga mask of the early to mid-20th century, the exhibition considers the role of birds within initiation, healing, and harvest rituals; within home décor and security; and within hunting practices. Long considered wondrous beings that transcend known worlds, birds have enjoyed a strong and steady presence in African life for centuries. Included are works that cite birds by material or motif made in Burkina Faso, Cameroon, Côte d’Ivoire, Democratic Republic of Congo, and Nigeria. This exhibition is co-curated by former Associate Curator of African Art Shannen Hill and Interim Associate Curator of African Art Kevin Tervala. This exhibition presents approximately 20 works that illustrate the honored place birds hold within numerous African cultures. Included are works that cite birds by material or motif made in Burkina Faso, Cameroon, Côte d’Ivoire, Democratic Republic of Congo, and Nigeria.